Trinity College Maple Cutting Board by M.LaHart & Co.
Gear up your school spirit with the gift of awesome NCAA and college products. The Trinity College Maple Cutting Board is crafted from sturdy Maple with undercut handles and a wide groove to collect juices while you carve. 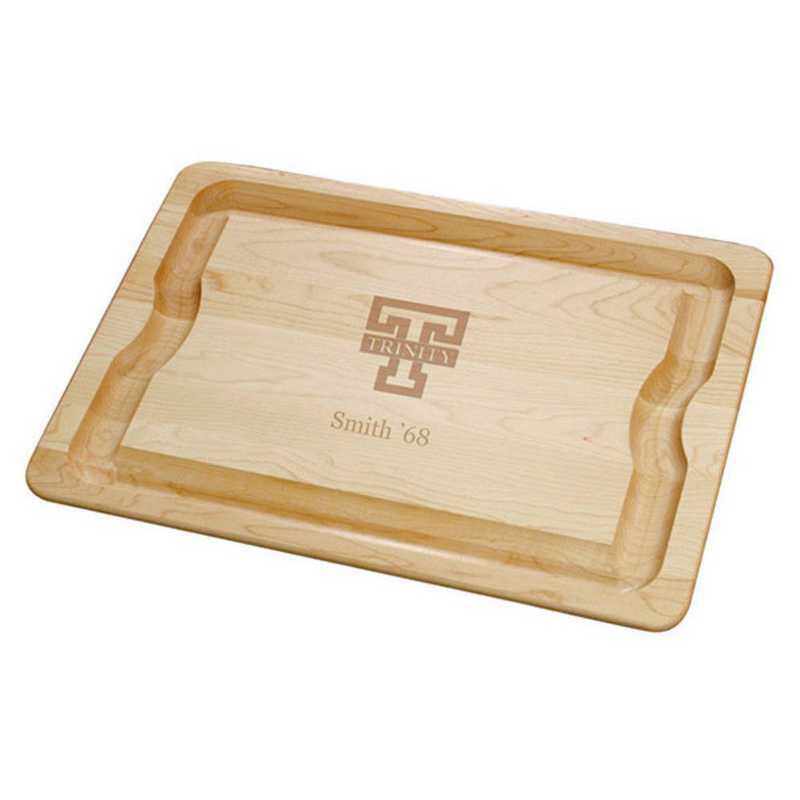 Ample surface featuring the Trinity logo is suitable for both cutting and serving., Measures 20 x 14 x 1 in., Made in Vermont from solid Maple., Highly detailed, laser engraved logo in center., Only at M.LaHart & Co.Officially licensed by Trinity College. Manufactured direct from a trusted supplier. You're reviewing:Trinity College Maple Cutting Board by M.LaHart & Co.